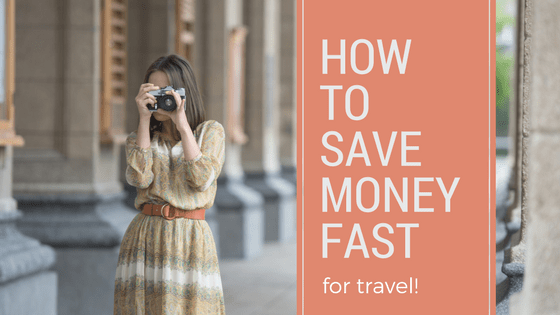 Best Ways to Save Money FAST for Travel! One thing I commonly hear from people is how they would like to travel more, but they don’t know how to save the money to do so. When money is tight, finding ways to hold on to some of it can definitely be a challenge. Fortunately, “challenging” does not mean “impossible.” It just means that you might have to think creatively and be willing to make some changes in how you think about money. I hope that the following ideas will inspire you to think about changes you can make in your own life. That trip you are dreaming about may be closer than you think! 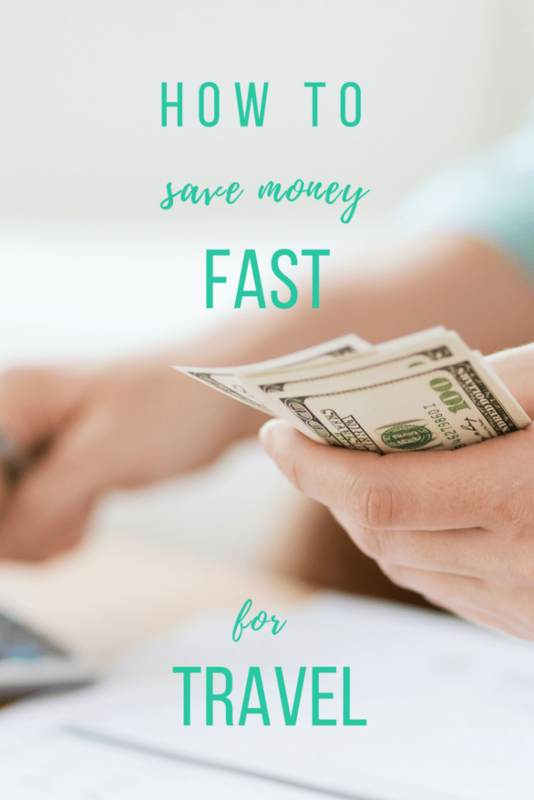 Read through to the end where I break down how using these tips, you could save $1,500 for a week in Mexico! If you have never worked out a budget, now is the time. The first thing to do is to get solid about the money you have coming in each month, and the expenses you are paying. Once you have everything written down so you can see it in black and white, you can start figuring out ways to save. When you have an idea of your general home budget, then consider what budget you need to set for your travels. The amount you set as a target will vary depending on your destination and preferred travel style. Before you start setting aside money for travel, make sure you have the right systems in place. Having a designated travel savings account is critical. The easiest way is to create an additional account with your current financial institution. Many let you create the account online with just a few clicks. I highly recommend that you have the ability to transfer between your accounts and set up automatic transfers. This will make saving even easier. Some banks even have services that help you save money. For example, you might find a service that rounds up all your purchases to the next dollar, automatically transferring those pennies into savings. This is the modern day version of the change jar! It may seem like a small thing, but those pennies add up. With the right systems in place, it’s now time to start making and moving money! Turn the lights off when you leave a room. Turn appliances off when they are not in use. Even better, unplug them unless there is a very good reason to leave something plugged in. Turn the thermostat a little lower in the winter or a little higher in the summer and dress accordingly. Even a degree or two of difference can save you some money each month. Compare your last month’s bill to the new month’s bill. Subtract the difference and move that money into your travel account. If you pay for cable TV and Internet, consider canceling the TV and watching your shows on the Internet. Many shows are available for free online on TV Network websites. Services like Hulu make it easy to watch most of your favorite shows for less than $10 a month. You might also consider if you can downgrade your current plan. Immediately move the difference into a travel savings account. Set up an automatic transfer of this amount monthly. Look at all the regular bills you pay and try to find creative ways to lower your costs. Look for competitively priced cell phone plans, ways you can reduce your water usage, and things you can do to make your home more energy efficient. Whenever you find a way to lower a bill, instead of spending that money elsewhere – SAVE IT. Even if you lower a bill by only $5, put the $5 you would have spent into savings. Those few dollars here and there add up. If you have 5 utility bills a month and you can save $10 each month, that’s an additional $50 into your travel account. Keep your eyes open for “Manager’s Specials” in the meat, dairy, and produce departments. You can find incredible discounts this way. If you go to a farmer’s market, try to show up later in the day. The later you are there, the more willing vendors are to give you a price break on produce. Check supermarket fliers for “Loss Leaders” – sale prices so low the store is likely taking a loss on the product just to get you in the door. Stock up on those items whenever possible. You also might try a different grocery store. The prices for the same or similar items can be drastically different just depending on the store. You’ll need to compare your receipts with your new shopping plan to the old one to figure out an amount you’re saving. Remember to then transfer the money you save into your Travel Savings Account! If going out to eat is part of your regular routine, eliminate it or cut back. Take the money that you normally would spend going out for lunch or dinner and add it to the travel fund. When you earn money, pay yourself first. Send 10% of your income directly to your savings account. (5% if your budget won’t allow 10%). It may seem like a scary thing to do, but try it. You might be surprised at how easy it is to adjust, and your Travel Savings will thank you. Sometimes, the easiest way to save money is through your taxes. You can even change your deductions so that your employer takes more money out of your pay, increasing your tax refund at the end of the year. If you have a difficult time saving much money in other ways, income tax might be your best bet. And just look at some of these great trips you can take with your income tax return! You can save money and then you can make money. You’ll probably want to do a combination of both to make the most money as quickly as possible. Today, there are more ways than ever to make extra money! One of the fastest ways to make money is to get rid of things you already own. Go through your house and sort out any items you’re not using anymore. You might want to tackle one room at a time so that the project doesn’t become too overwhelming. Have an old fashioned garage sale or sell directly through some of the following ways. Once your items are sold add the money to your travel savings account. Chances are you’ve seen the “buy gold” TV commercials but have you ever considered it? Even if you don’t have a treasure trove of jewelry laying around, you may have a few things that could create some instant income. Broken jewelry has a value, as you’re selling it for a scrap value. Gather up these items and take them to a reputable, local agency that buys gold or silver. If you’re like me it takes you forever to return unwanted items to the store. When you’re cleaning out your house it’s the perfect time to gather all those returns and bring them back. Instead of pocketing the money (that you’ve already spent) immediately put it into your travel savings. You won’t miss the money and it will be like a little bonus in your account. If you’re already working in a traditional job, why not see what options exist for overtime work. You won’t have the free time but you will be making extra cash to add to your travel fund. If you work shiftwork pay attention and start taking added work. Let your colleagues know you’re looking for extra hours and you might be surprised how many come to you first when they’re looking to offload work. It’s long been one of the ways to make fast cash; selling blood and plasma. If you’re approved you can donate a few times a month and make cash on the spot. Deposit it right away so you’re not tempted to spend it! In the sharing economy one way to save money is to rent an apartment when traveling. But, did you know you can make pretty good money renting out extra space you have? You’ll want to check with local ordinances before listing your property. Airbnb is an easy to use platform for anyone just starting out, check it out by visiting the Airbnb website. You can have your payments for stays direct deposited to your travel account. Can using these strategies really save you enough for a vacation? 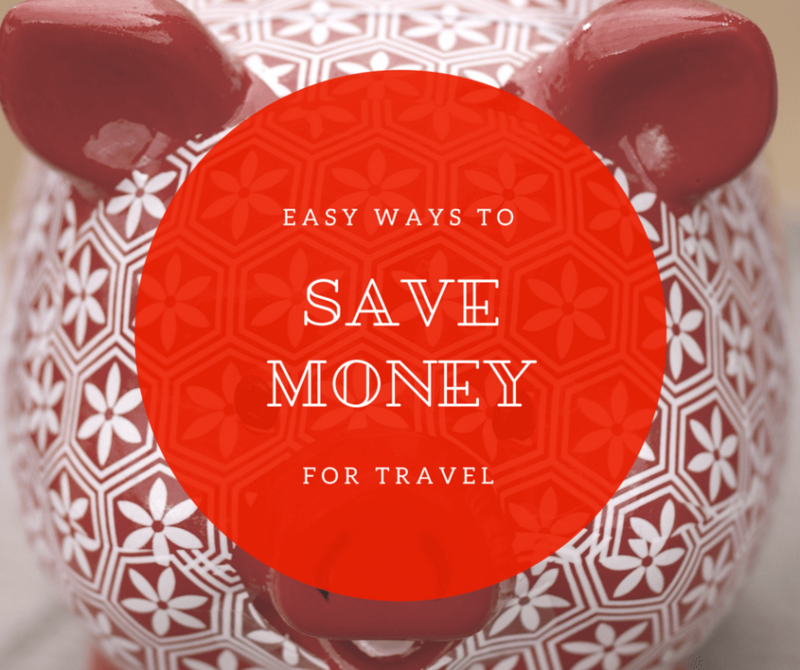 In 6 months you can save enough money for your trip by doing the following. I made this as easy as possible, and in many cases you won’t need to earn additional money at all. You can of course shift some things; maybe you don’t go out to eat, instead you could focus on selling more items to make up that difference or reduce your at home food costs. For overtime, I calculated working 1 extra overtime shift a month at $15 an hour, you could work more or take on a side gig instead if overtime isn’t an option. If you have aspirations to travel, don’t let budget constraints stand in your way. You can save and earn extra money with a little creative thinking. 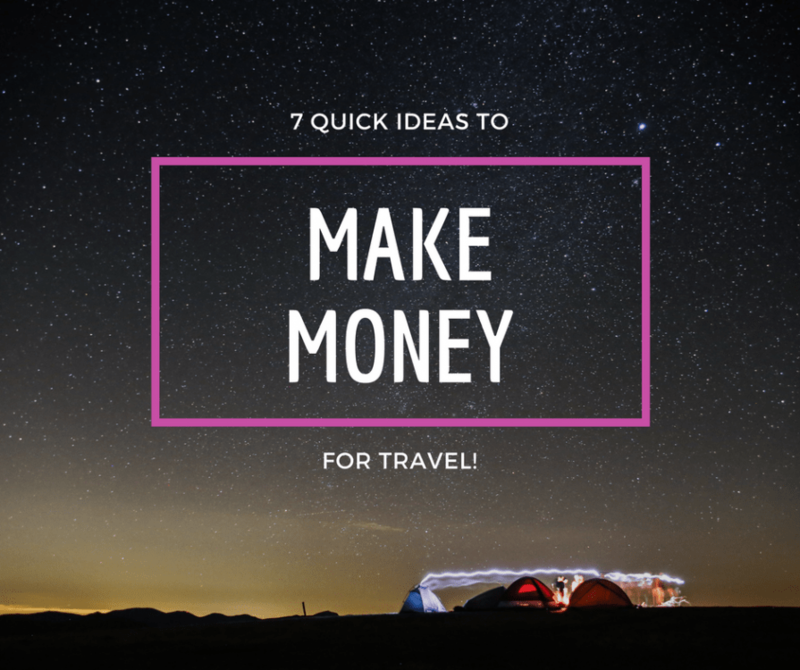 You can also come up with some great ways to save money for travel not on this list; Don’t be afraid to think outside the box!